Whenever a study is performed on covered call writing a stock is selected and the nearest out-of-the-money (O-T-M) strike price is sold. This is repeated over and over and then the results are compared to the overall market performance. The usual conclusion is that covered call writing slightly outperforms the overall market but with much less volatility. What too many analysts overlook is the fact that the O-T-M strike has its advantages and disadvantages and to use it to our greatest advantage we must explore and understand the circumstances as to when to use this strike and when to avoid it. An out-of-the-money strike is one where the option’s agreed upon sales price (of the equity) is HIGHER than the current market value of the stock. If we buy a stock for $28 and sell the $30 call option, that strike price is out-of-the-money. We can benefit from both the option premium AND the stock appreciation. 1-month returns can easily end up between 10-20% if the strike price is reached. Time decay works in our favor since the premium consists only of time value. This means that as we approach expiration Friday, if the strike is still O-T-M, the time value will approach zero. This strike has a low delta. 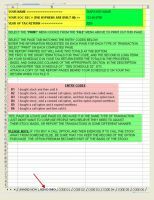 If the stock drops in value, the corresponding option will not change as much, thereby making it more expensive to buy back the option for an exit strategy. In-the-money strikes have the highest deltas. O-T-M strikes have an important place in our portfolios. Those with greater risk tolerance will tend to use them more than those with less. No matter who is writing these calls, they must be used to our greatest advantage. Select the strongest stocks in the strongest industries that have been uptrending with low implied volatility (avoid violent whipsaws on the charts). When constructing your portfolio for the month you can mix or ladder your strikes using a higher percentage of these O-T-M strikes the more bullish you are on the market and decreasing that percentage if you turn bearish. By doing so we are not restriction of a call option obligation. Reminder: The $100 discount for the NEW DVD Program and the DVD Program with the new book (“Encyclopedia…”) ends Saturday June 30th. Premium members are entitled to an additional 10% discount. Be sure to enter the Blue Collar Store from your premium site. Kudos to you. Had a licensed broker and financial advisor look into our affairs to learn about estate planning reviews and to check what we did a few years ago. As you know things change. Bottom line after she looked at all our equities and portfolios, she said we ( I ) was far above the pros and have been averaging over 17%/yr over the past two yrs. But the best was my trading acct @ Tradestation, where I’ve been beating the markets over the past nine months since I’ve been with BCI. We were told our portfolios and trades were better than most pros. Bottom line our Covered call portfolio the past 9 months has averaged over 24%. We put $100,000 of our assets into our covered call account at Tradestation last Oct. since then we have withdrawn $30,000 in cash, and the balance today is $98,000 with over $30,000 in cash. After two meetings wIth the FA, she said don’t go back to private practice, your job since you have been successful with Covered Calls is better than what you can do in a part time dental practice. 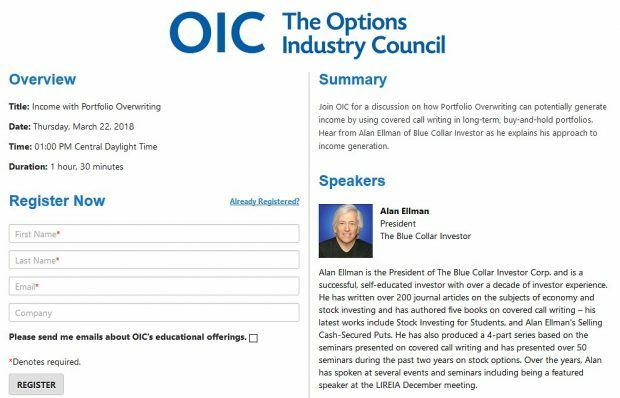 So my job as CEO of my money has been successful and a big part of that success has been due to the BCI site and my premium subscription besides the BCI goals to be the CEO of my assets. The FA ran the numbers on my Covered Call act at TradestAtion and for the last nine months it has surpassed %30. Enough said. So glad I found you. The Federal Open Market Committee, chaired by Ben Bernanke, extended Operation Twist bond-buying program for another 6 months. This will put downward pressure on longer term interest rates. For the week, the S&P 500 fell by 0.6%, for a year-to-date return of 7.3% including dividends. BCI: Moderately bullish on the US economy and stock market but hedging through in-the-money strikes because of the tail risk presented by European debt issues. Your positive feedback, generous testimonials and kind referrals are appreciated and will never be taken for granted. When you say your goal is 2-4 percent per month does that iclude the upside potential? keep up the good work. No it doesn’t. The 2-4% GUIDELINE is based on the time value of the premium or initial option return (ROO). When dealing with individual equities I will rarely enter a position with one full month remaining and a time value under 2% for ANY of the strike prices. In my mother’s account where I use ETFs my goal parameters decrease to 1-2% because of the lower implied volatility of these securities. I am an active endodontist and it’s great to see a fellow dentist is sharing the knowledge on investment. My question is whether your total return is any different than the total return on your mom’s account. I am pretty sure the return in your account is more volatile since you have more individual stocks and they do have higher IV and more risks. Also, do you feel it’s worth spending time on researching companies for underlying stocks and stuff for people with a day job? My accounts average at least 1% more per month more than my mother’s. You are 100% correct that there is more volatility, higher premiums and more risk but still manageable risk in my view as my target is 2-4% initial time value returns in my accounts and 1-2% in my mom’s. Most of my professional career I traded this way while also a full-time dentist in a busy practice. I would suggest starting with ETFs and then deciding whether moving to individual securities is right for you. It’s much easier than performing root canal on # 15! The Weekly Report for 06-22-12 has been uploaded to the Premium Member website and is available for download. I’m having trouble knowing what stock purchase price to use with your calculator after I’ve rolled out. A while ago I asked you about the price to use for the multiple tab and you told me the price the stock was at when I rolled out (for comparison purposes) and that made sense. My question now is about the UNWIND tab. I bought QCOR on April 25th and it has been very good to me. Initially I STO the $40 call. Then I rolled out and recently I rolled out and up to the $45 call. It is now at $52.66. Last I checked it has an earnings report on July 26 and since I’m not very familiar with protective puts I won’t be able to hold onto it. As one of the choices I need to consider is the possibility of unwinding I’m not sure what stock purchase price I would use. I’m also not sure about the date of transaction but I’m sure that will go with your answer to the previous question. Thanks again for all your effort. Things are becoming clearer all the time and I seem to be getting better at it as well. 1- Expiration Friday for the July contracts is July 20th, prior to the ER date. If the share price remains above the last strike sold ($45) the option will be exercised and the shares sold at that strike price so no action will be required on your part to exit the stock prior to the ER date. The cash from unwinding can be used to establish a second income stream in the SAME month with the SAME cash. I’m impressed with your overall assessment of this situation. The equations I wrote for the Ellman and Elite Calculators were geared to making the best investment decisions at any given point in time. They are NOT geared for tax purposes. That’s for the Schedule D of the Elite Calculator. 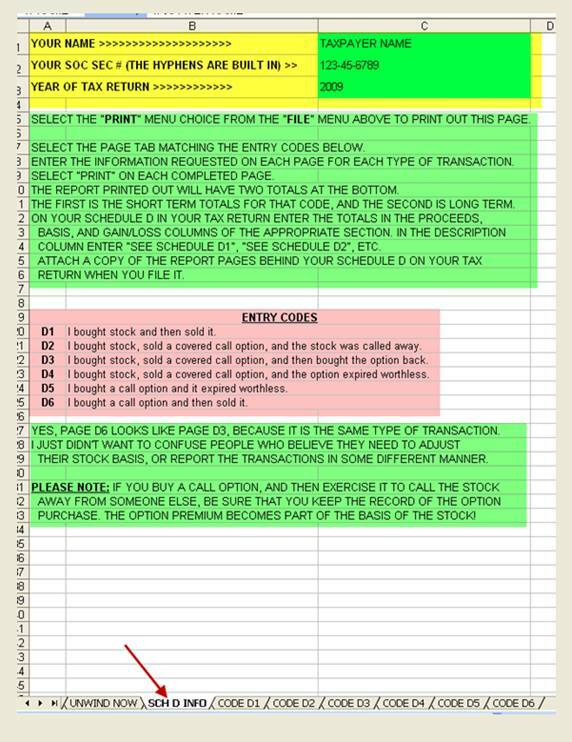 3- For tax calculations or final results use the appropriate entry codes available in the Schedule D (chart below-click to enlarge). When is it appropriate to use the mid contract unwind strategy? How much time value are you willing to give up? Thanks a lot. I am willing to sacrifice some minimal time value if I can generate significantly more time value in the new position. Alan this is a little off topic but what happens if you buy an option and the company is acquired by aniother and ceases to exist on its own prior to the expiration? thanks. Mergers and acquisitions come in all shapes and sizes. Rarely are any two the same. As a VERY general guideline, in all-cash deals your call will be worth the difference between the strike and market value. If you bought a $30 call and the merger or acquisition values the equity at $35, you receive $5. On April 24th, QCOR reported an outstanding 1st quarter earnings report. Earnings beat estimates by 16% and were up 222% year-to-year. Revenues rose by 161% well above estimates. This was the 4th consecutive positive earnings surprise with an average “beat” of 22.6%. QCOR reported cash on hand of $223.7 million with NO long-term debt. On May 15th, QCOR announced a continuation of its share buy-back program, enhancing the value of investor shares. All this has resulted in a new 52-week high price on June 26th. Our premium report shows an industry segment rank of “B” and a beta of 1.01. Reminder: The $100 discount for the NEW DVD Program and the DVD Program with the new book (“Encyclopedia…”) ends Saturday June 30th for ALL members. Premium members are entitled to an additional 10% discount. Be sure to enter the Blue Collar Store from your premium site. I have a significant number of shares of AEP in my account and was wondering if this would be a good candidate for your high dividend yield strategy (page 437 of your latest book)? Great book! As a matter of fact, the BCI team is currently putting the finishing touches on our next quarterly high dividend yield report. It should be uploaded to your premium site in the next few days. Premium members will receive an email when it is available. Alan sent me an email indicating that some people have been asking about using weeklies for covered call writing. The weeklies are problematic. If you are dealing with a reasonably priced stock, there is pretty much not enough premium to make it worthwhile. If you are dealing with a stock with a decent option premium, you are talking about the $500 – $700 monsters like Apple, Google and Priceline. Example: 100 shares of LULU at 3;40PM on 6/29 is $5,931. You can sell a JulWk1 $60 call (exp 7/6) for $0.85. After you subtract $15-$18 for broker’s fees, there isn’t much left for you. Now, an Apple JulWk1 $590 call will get you $4.10, but you have to put up $58,255 to buy the stock. The biggest danger of the weeklies is that there is little margin for error if the price turns. With only 7 days to begin the transaction you do not have enough time to “wait a day or two” to see if it fixes itself. A slow nickel is still safer than a fast dime. If you can turn 1%-2% per month you are doing better than almost everyone else. Remember the Wall Street rule: Bears roar, bulls stampede and pigs get slaughtered. Call a stock broker. Teach him how to make money.